Afternoon Loverlies! 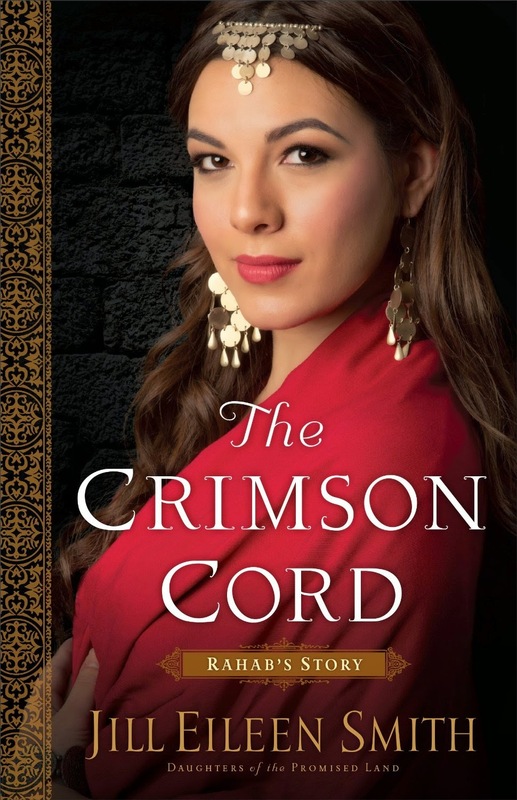 I received The Crimson Cord: Rahab's Story written by Jill Eileen Smith from Revell books to review. I was excited to get this book to review because I heard good things about it. I think Smith did a marvelous job in this dramatization of this story, I really don't think I would enjoy anyone else's telling of it. I love that she shows how faithful Rahab was, especially when she got to know the Lord. Since I decided to choose Faith as my word this year, I believe this is another great story for me to remember when I start to have doubts in my Faith. I will say the beginning is very emotional, because of the men that Rahab had to deal with. I just love how brave she is and how she doesn't give up. This book was very easy to get into and kept me on the edge of my seat. I am going to have to keep reading Smith's books, I just love how she puts the story together. I recommend reading this book and also recommend reading the Bible verses about Rahab. I think it is always best when reading a dramatization of a story in the Bible, that you go back and read the scriptures also. Have a Blessed Day! Wife to a gambler who took one too many risks, Rahab finds herself sold as a slave to cover her husband's debt. Forced into prostitution by Dabir, counselor to the Syrian king, Rahab despairs of ever regaining her freedom and her self-respect. But when Israelite spies enter Jericho and come to lodge at her house, Rahab sees a glimmer of hope and the opportunity of a lifetime. In one risky moment, she takes a leap of faith, puts her trust in a God she does not know, and vows to protect the spies from the authorities. When the armies of Israel arrive weeks later, Rahab hopes they will keep their promise, but she has no idea what kind of challenges await her outside Jericho's walls--or if she will ever know the meaning of love.